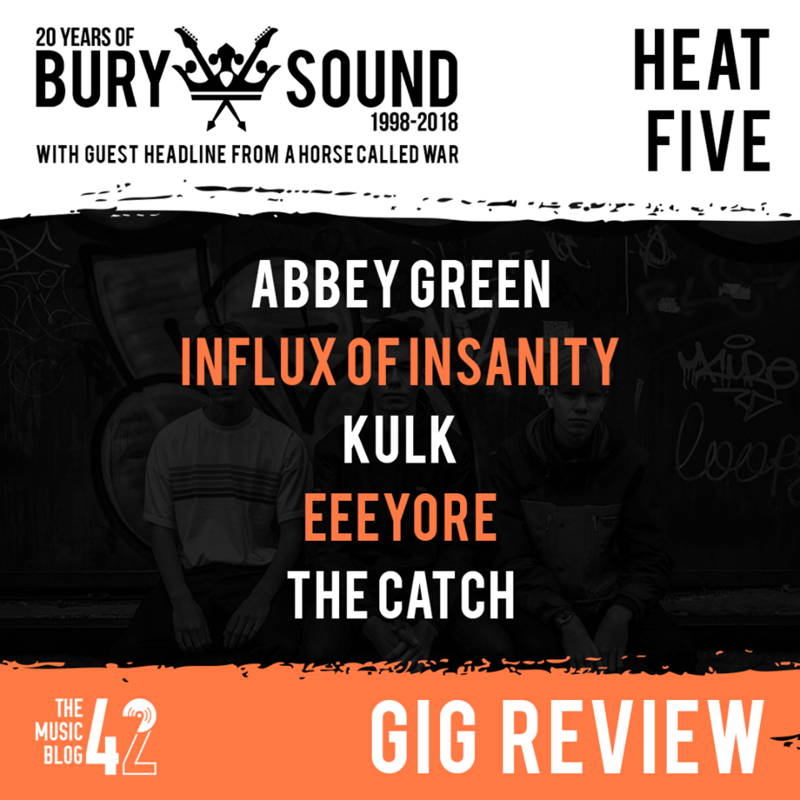 Cambridge’s Influx of Insanity were the winners of Heat 5 of BurySOUND at The Hunter Club on Friday (23rd February). Abbey Green started the night off, proclaiming their set was going to be “half covers, half originals”. Their original tracks sounded decent and with more practice and evolving they’d be a pretty good acoustic duo! The second band on were Influx of Insanity. Astonishingly these lads are only 13 and 14, and it’s even more impressive with the music they produce. Their brand of prog-rock won the crowd and judges over with great tracks like Envious Souls and Scaffolded Minds, not to forget the tight creative chemistry between them. The duo have so much potential, keep an eye out for their new music being released soon! The hotly-tipped KULK have had a pretty good start to the year, with 6Music’s Steve Lamacq dubbing them ‘Stowmarket’s Royal Blood’ and re-releasing their tracks Fix Me and Toxic. The tracks have a different edge to them live, they’re definitely one of the best live bands around at the moment, with such incredible stage presence. This time next year, they’ll be huge! EEEYORE, from the outskirts of Cambridge, brought their stoner-rock sounds to their set. The quartet looked very comfortable on stage, and they’ve got a really great sound about them. Their opening track Out of Sight is such a great tune! Tonight was their first time playing at The Hunter Club, let’s hope they’re back asap! Indie rockers The Catch closed the heat with a great set which included the likes of Artist and Tie Dye, which was premiered on the Blog earlier this week. The trio are fast becoming a huge band on the local scene and the crowd’s admiration for them was evident, culminating in a huge moshpit for set closer Vexed. Having been judging, we only saw the last ten minutes of A Horse Called War’s set. But all we can say was that it was loud, very loud and absolutely phenomenal. They’re back at The Hunter Club on 21st April! Congratulations to Oli and Dom of Influx of Insanity for going through to the final! BurySOUND final is 9th March at The Apex, with a line-up of ORGAN OF CORTI, KYANOS, INDECISION, KELODOWN and INFLUX OF INSANITY!